1. 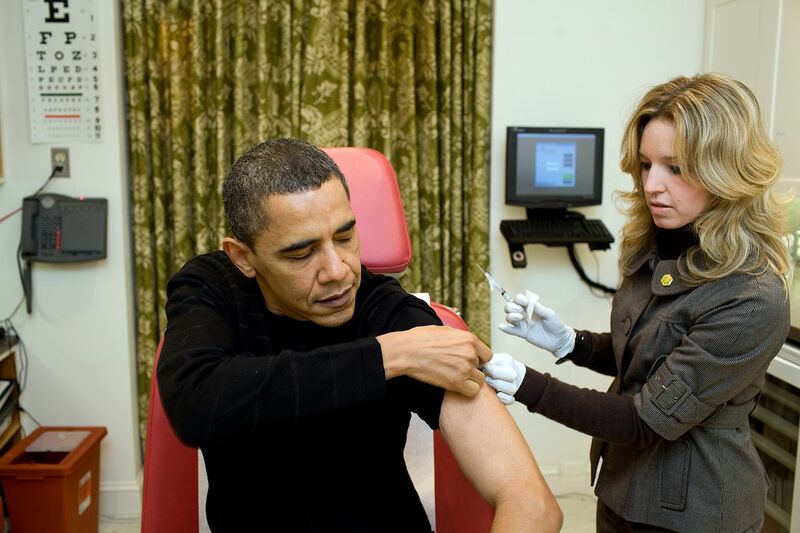 Please read Disclaimer – A White House nurse prepares to administer the H1N1 vaccine to President Barack Obama at the White House on Sunday, Dec. 20, 2009. Source The Official White House Photostream; Author White House (Pete Souza) – This image is a work of an employee of the Executive Office of the President of the United States, taken or made as part of that person’s official duties. As a work of the U.S. federal government, the image is in the public domain. This entry was posted in Alternative Health, Video, World News and tagged forced vaccination, Pharma Companies, SB277, Tony Muhammad by cnlib. Bookmark the permalink.